I have a confession to make darlings. I nearly got into an altercation, at the farmer’s market, over the crockpot. Not really, but it sounds more dramatic if I tell it that way. What actually happened was that the Godfather and I ventured out to the farmer’s market last Saturday to pick up some local produce. There was a poultry vendor at the market, and so we stopped by to see what they had for sale and get on their e-mail list. There was another customer in the booth at the time who seemed rather chatty, and said she was debating buying a chicken because she didn’t know if she wanted to cook. And I, conversing back as a polite person would, suggested that she use her crock pot to make the chicken since it requires very little work. She immediately scoffed at me, and said “Oh, some people in my family have owned restaurants so I’m picky about how my food is prepared.” I think even the vendor raised an eyebrow to her tone. Here’s where there could have been an altercation, but there wasn’t, because I was not going to entertain that level of boorish ignorance on a lovely farmer’s market morning, or any other time for that matter. Not my style, but I did entertain a not-so-pleasant retort for about a half second. I’m human, and that was rude. What a presumptuous comment to be made by someone who has never spent time in my kitchen and has no idea what I feed my family or how I choose to prepare it! I too am selective about what I eat and how it’s prepared, and I love using my slow cooker. In fact, I’m using it right now to prepare Korean short ribs for tonight using this recipe from Nom Nom Paleo and local beef purchased at the market. 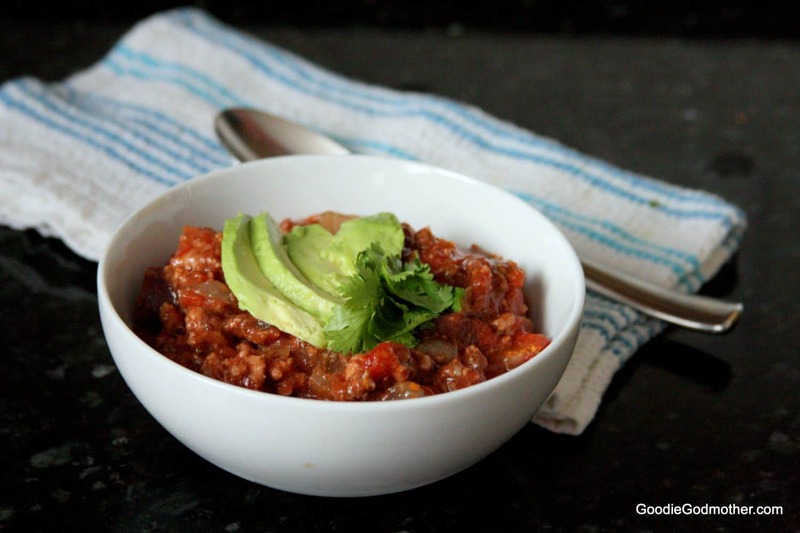 In addition, while I was at the market, I was shopping for vegetables for today’s recipe, a lovely crock pot chili made with grass fed ground beef, no beans, and lots of good for you vegetables. 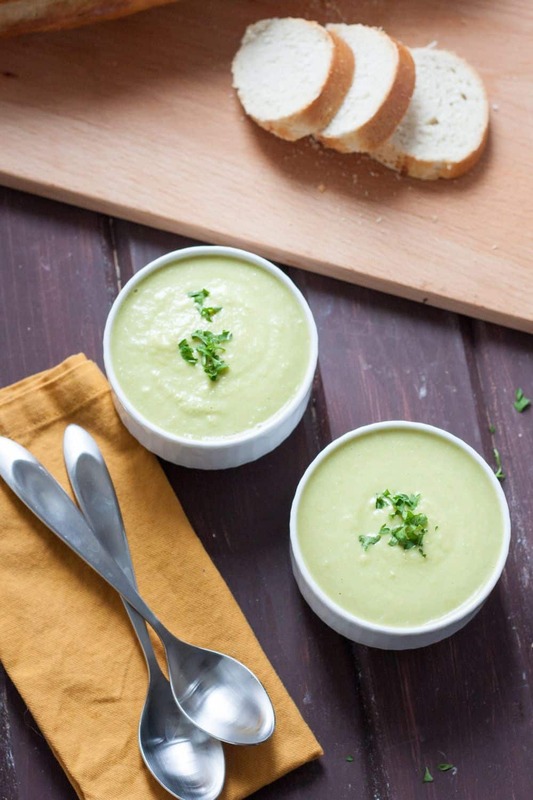 Not every crock pot recipe involves Cream of Chemicals soup. 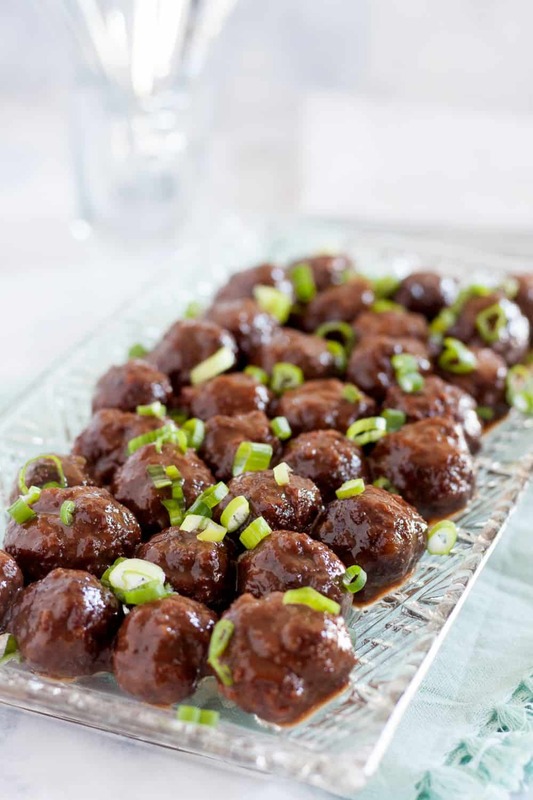 Can I get an ‘amen’ from my healthy crock pot cooks? I think everyone needs a good crowd-pleasing chili recipe. It’s a bonus if it’s simple to make (this is), if it’s also healthy (this is), and if you can make extra to freeze for later (you can). This is my new go-to recipe. Low and slow is the way to go, and while we didn’t freeze any from this batch, I will probably make more soon for freezing, with one minor change – I would replace the potatoes with parsnips. Potatoes change their texture in the freezer and I don’t like it. In my experience, parsnips hold up better and the texture is almost identical in the final product anyway. 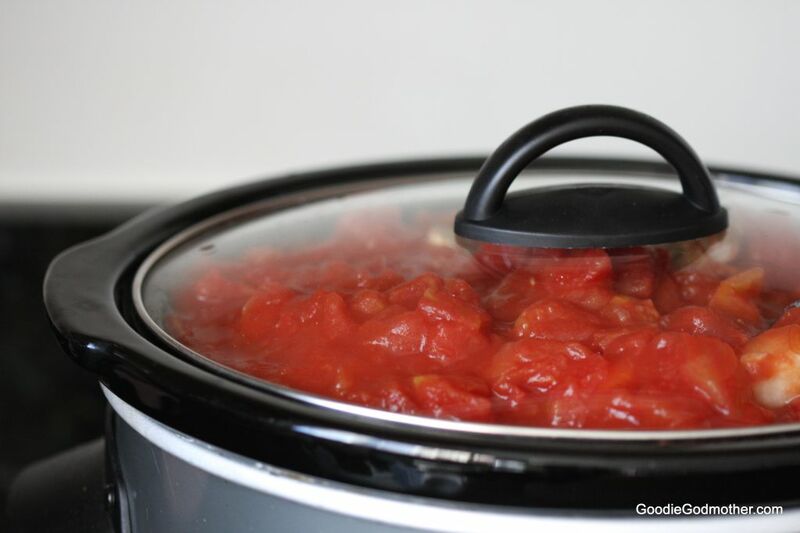 I made mine in a 4 quart slow cooker like this one and it was filled to the brim! To the point that when I make it again, I will be draining one of the cans of tomatoes before adding it to the chili. I did use canned diced tomatoes for convenience and tried to make myself feel better by buying organic. If you too go the can route and are looking to keep this Whole 30 compliant, be sure you purchased diced tomatoes and tomato sauce without any added sugar. Some brands will sneak it in there. It’s probably good to skip the sugar anyway, you don’t need it in chili. 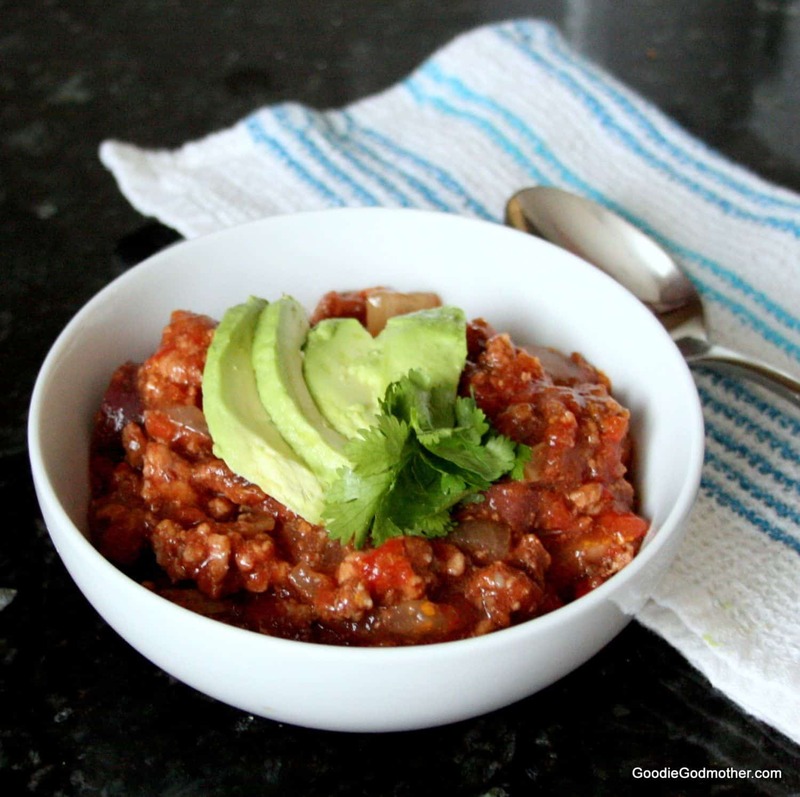 A no-bean, Whole 30 compliant, clean eating chili that's easy to prepare and incredibly flavorful! 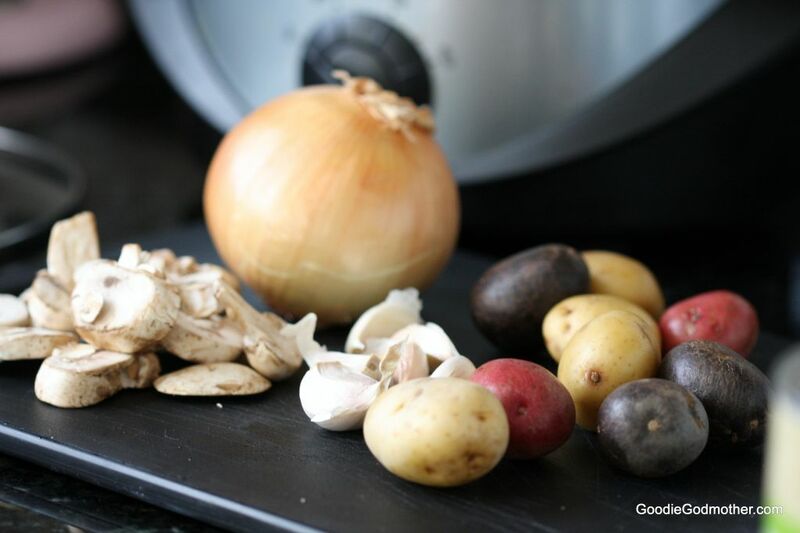 Cut your potatoes or parsnips (peel these) into ½" cubes. Set aside. 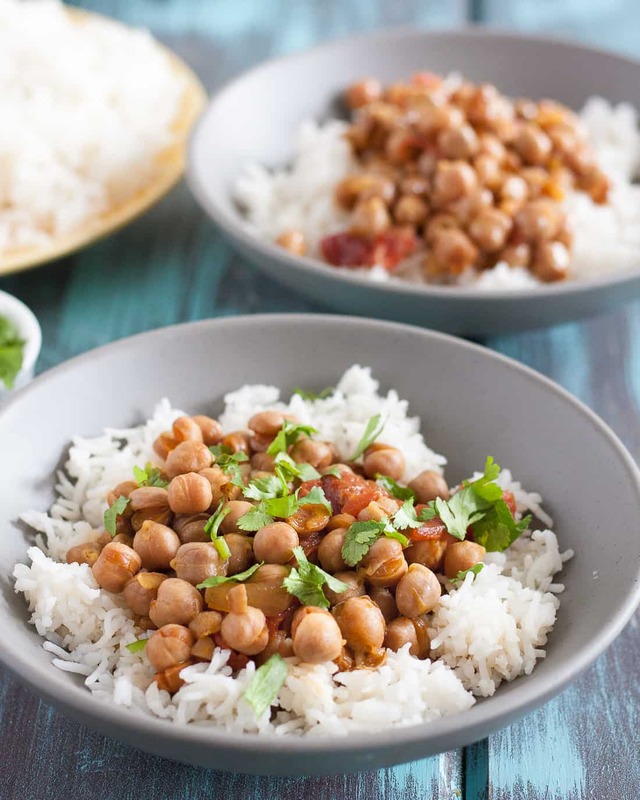 Top with fresh cilantro before serving if desired. Seriously! It’s one of the best inventions ever! The recipe is called Slow Cooker Chili. Is there supposed to be chili in the recipe or have I missed something?